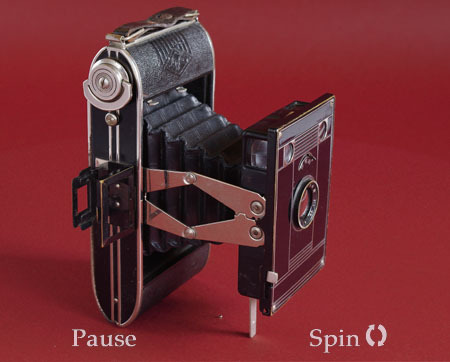 Agfa Billy Clack, vintage camera - all round view at 10° intervals. 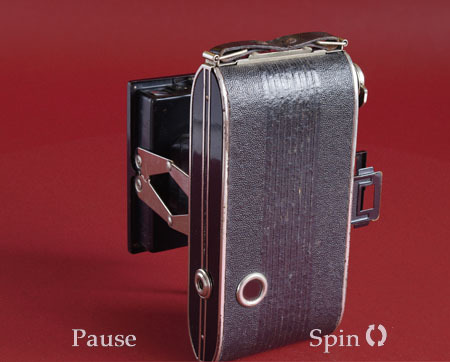 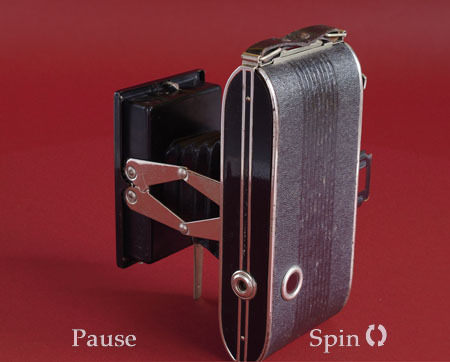 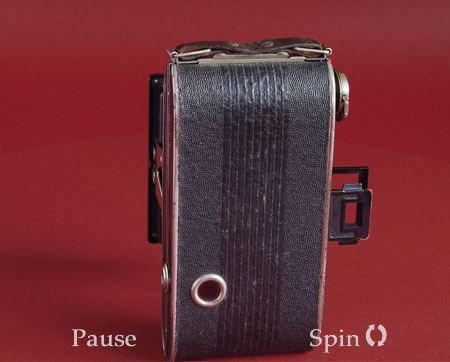 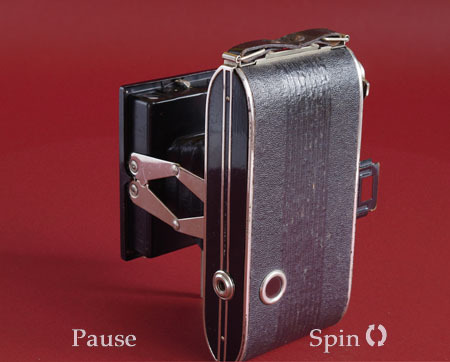 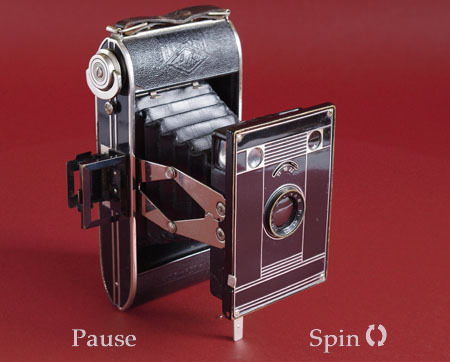 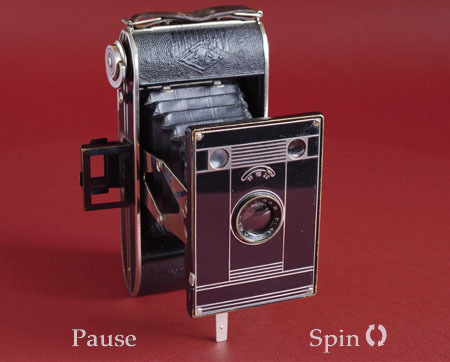 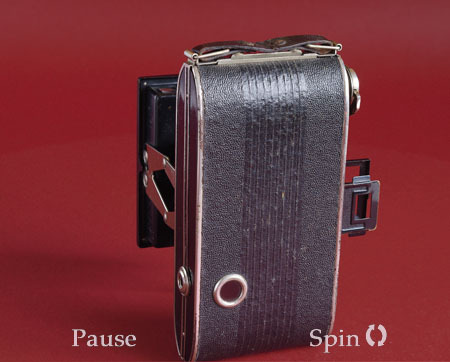 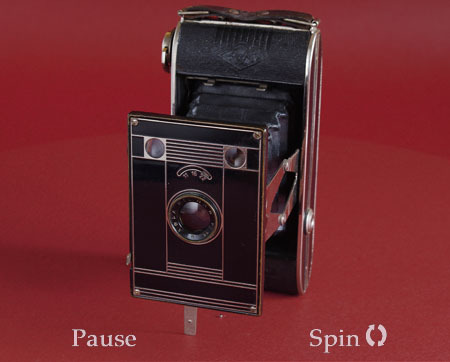 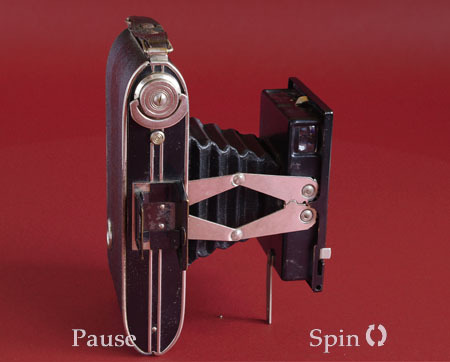 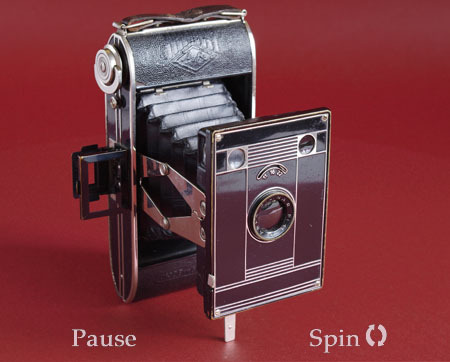 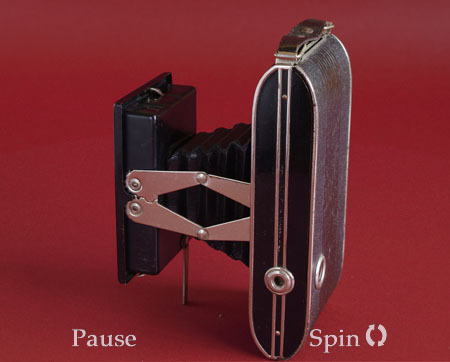 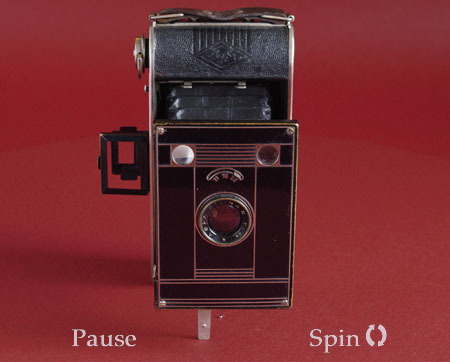 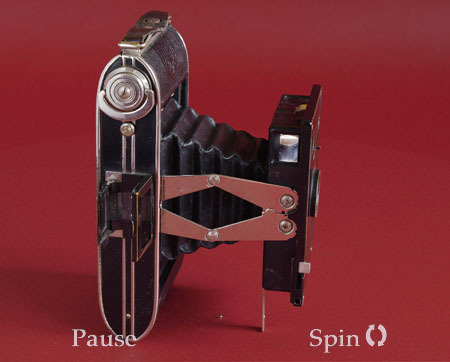 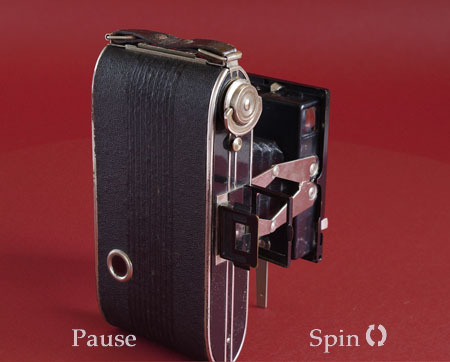 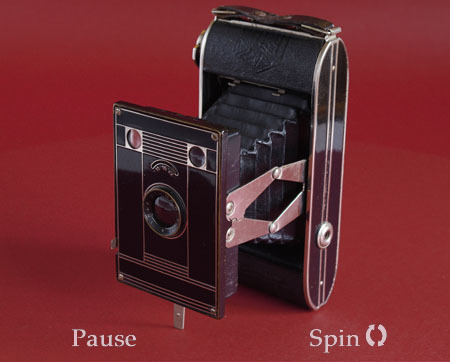 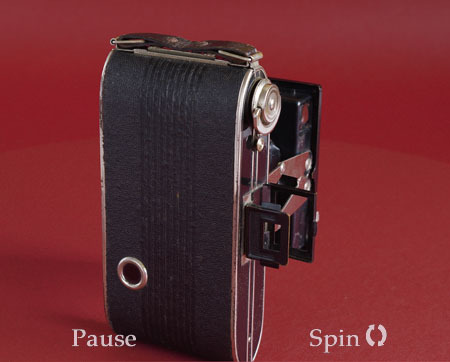 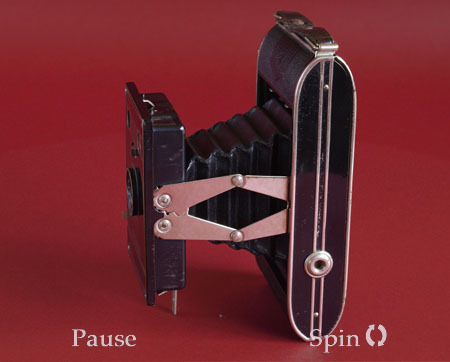 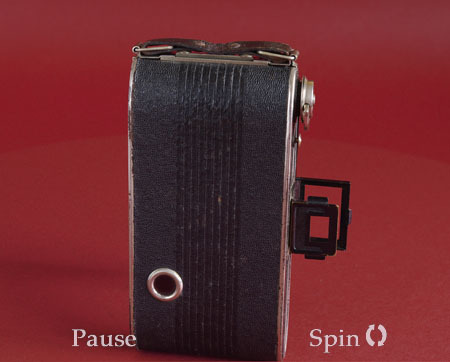 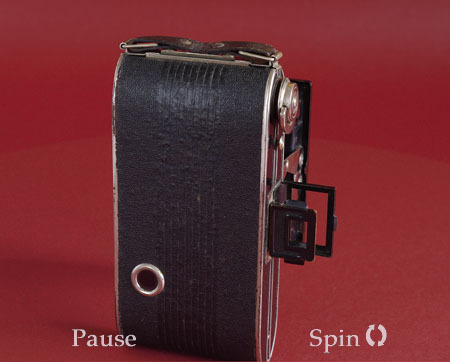 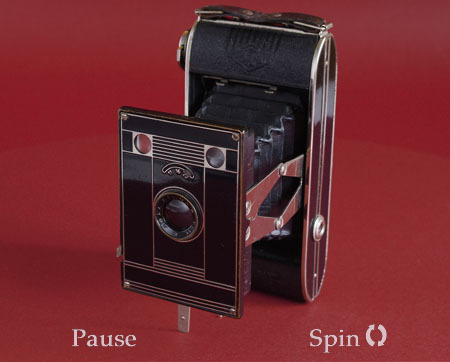 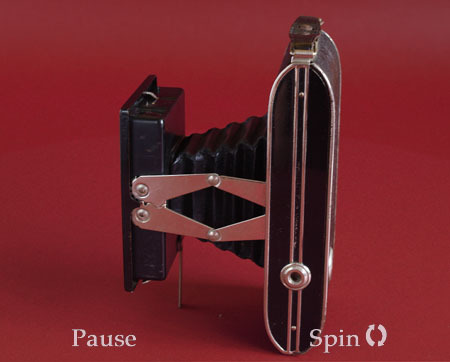 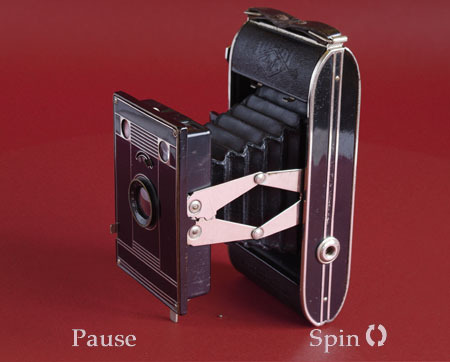 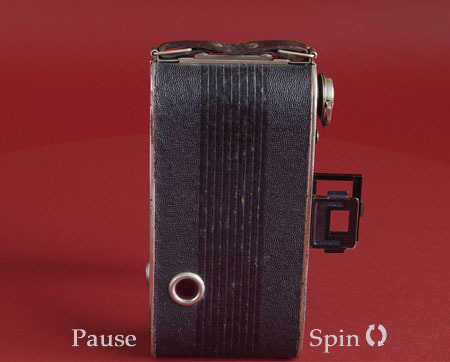 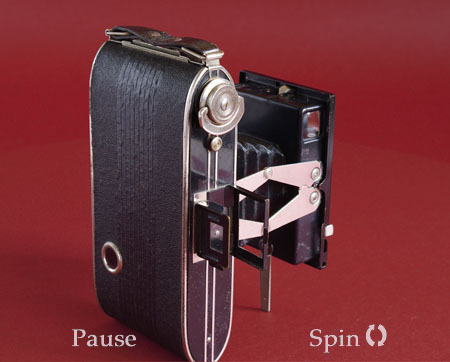 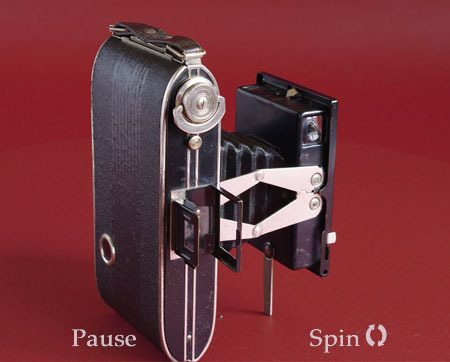 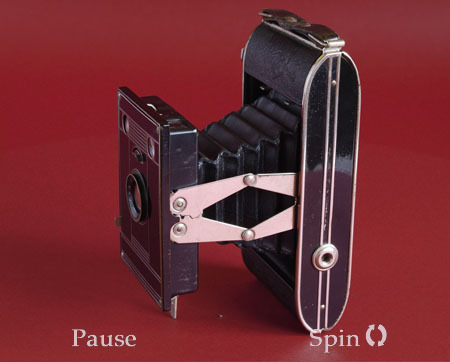 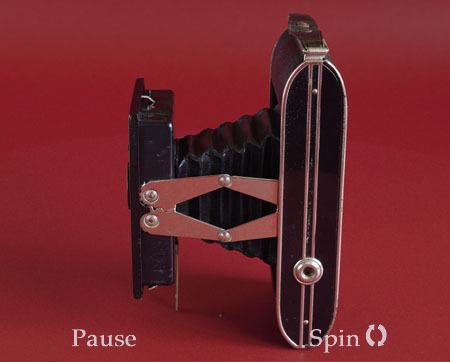 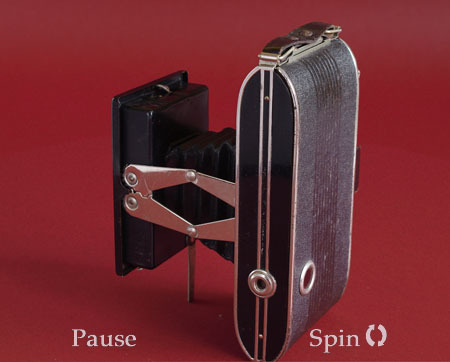 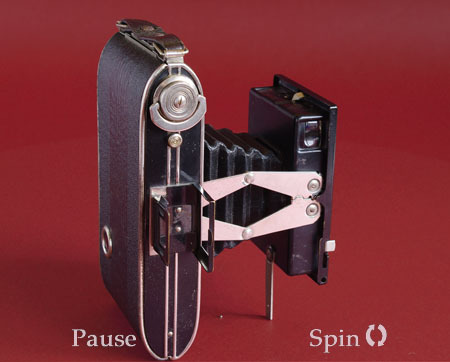 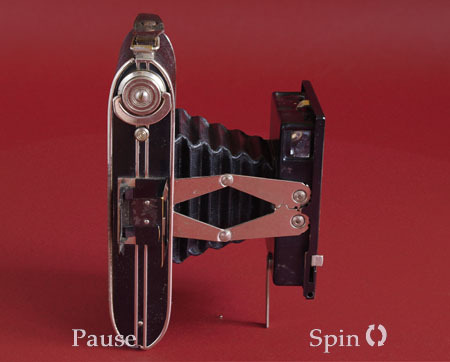 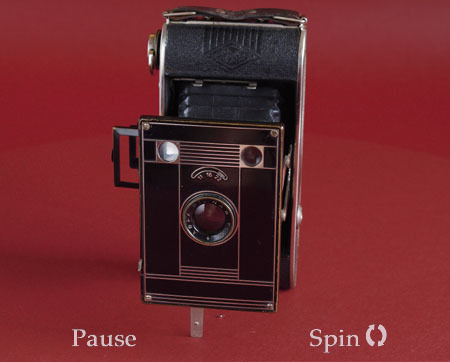 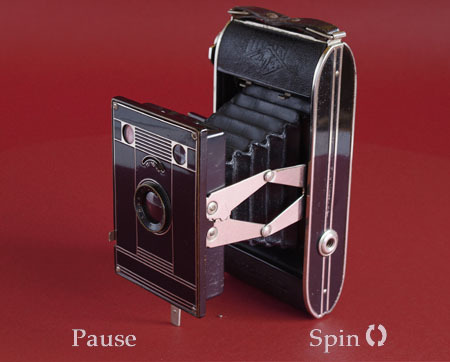 The Billy Clack spins to show off it's styling and the extended "sportsfinder", a simple viewer to aim the camera when taking pictures of moving subjects. 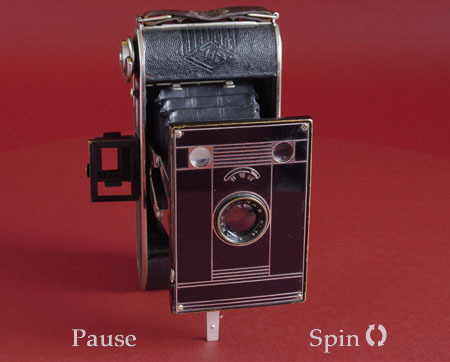 Attempting to use the waistlevel viewers for this is a frustrating exercise as they are tiny and the image reversed.